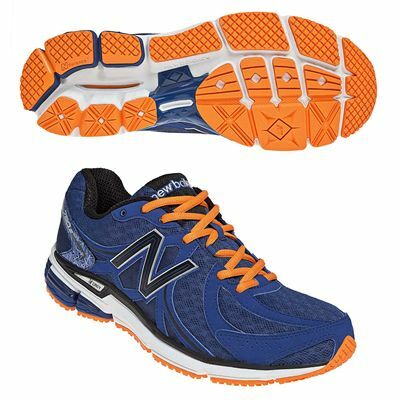 The New Balance M780V2 men’s running shoes are an improved edition of the 780 series. They incorporate the N-Ergy and Abzorb technologies to ensure good shock absorption and responsiveness and are perfect for neutral fitness runners. These top quality shoes also utilise the Stability Web that provides maximum arch support to prevent midfoot flex. Additionally, the Air Mesh upper ensures good breathability resulting in always cool and ventilated feet. For ultimate durability the shoes include the N-Durance rubber compound placed in high wear areas and feature a blown rubber flexible outsole. for submitting product review about New Balance M780V2 Mens Running Shoes.